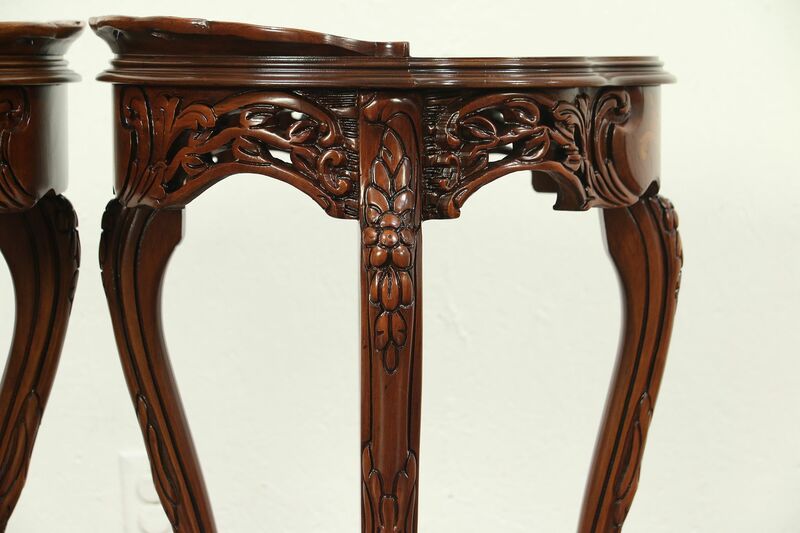 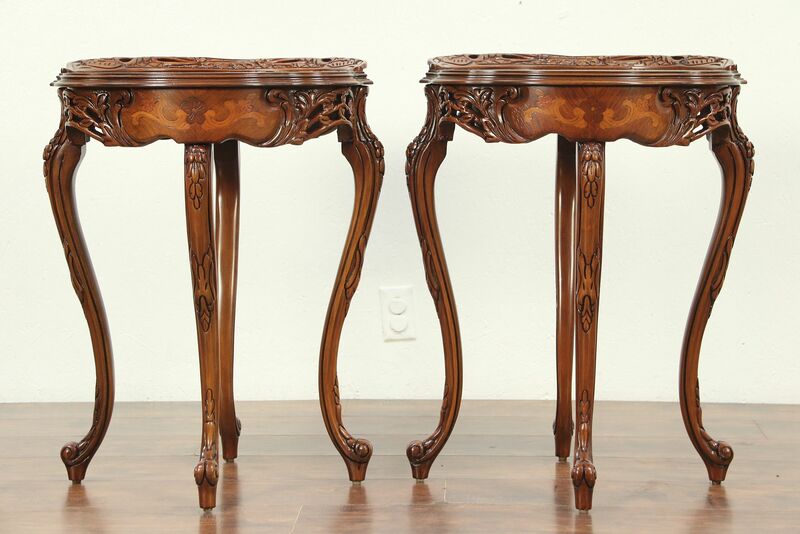 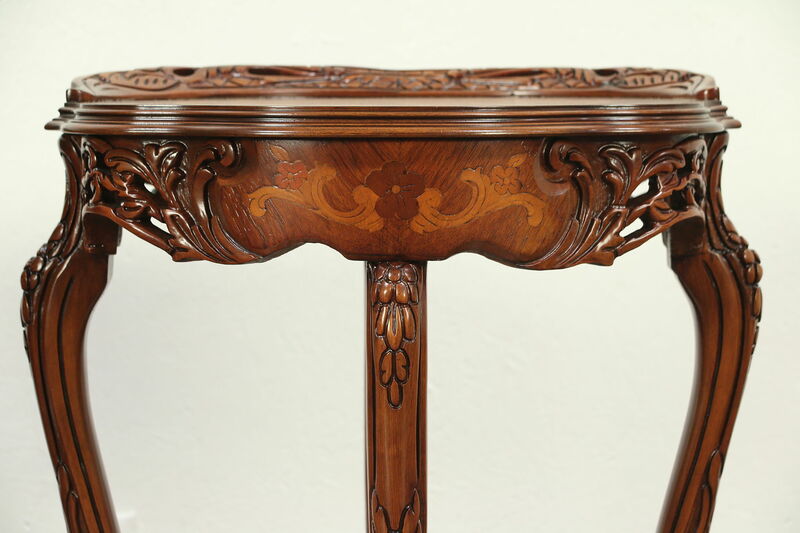 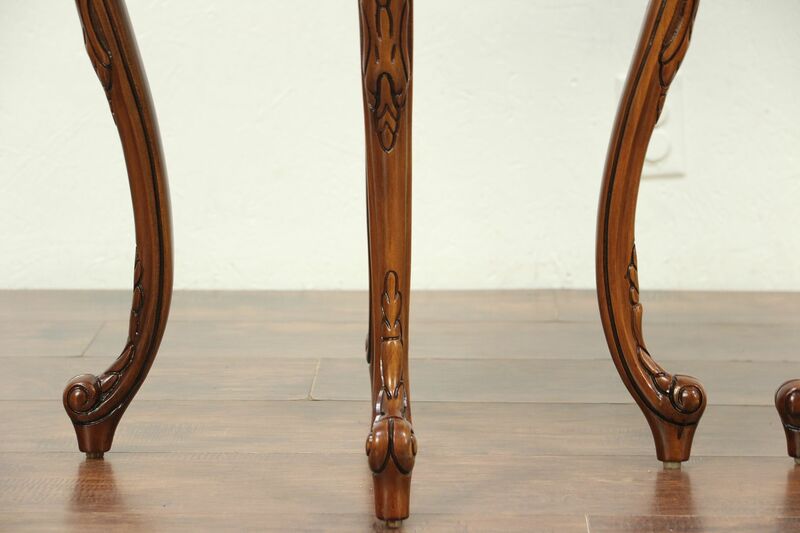 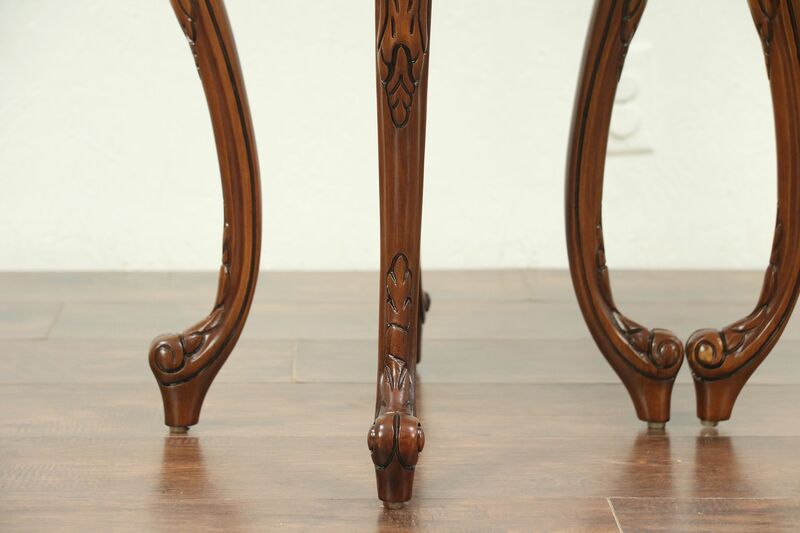 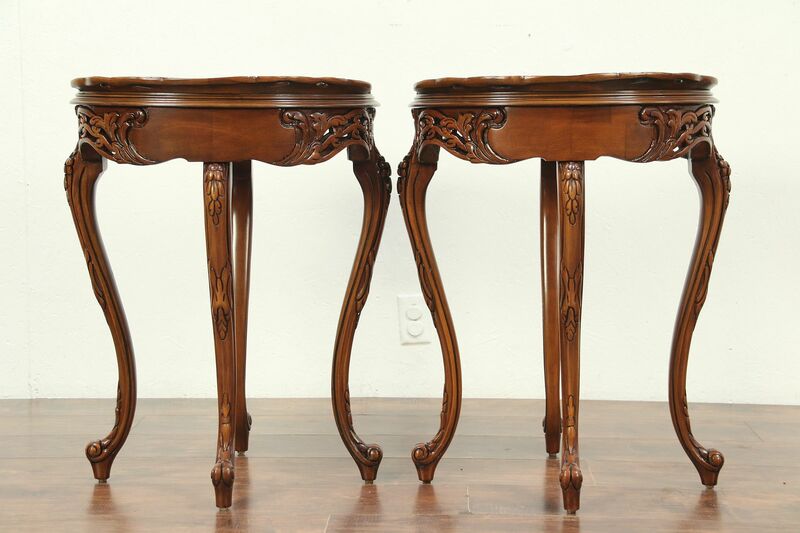 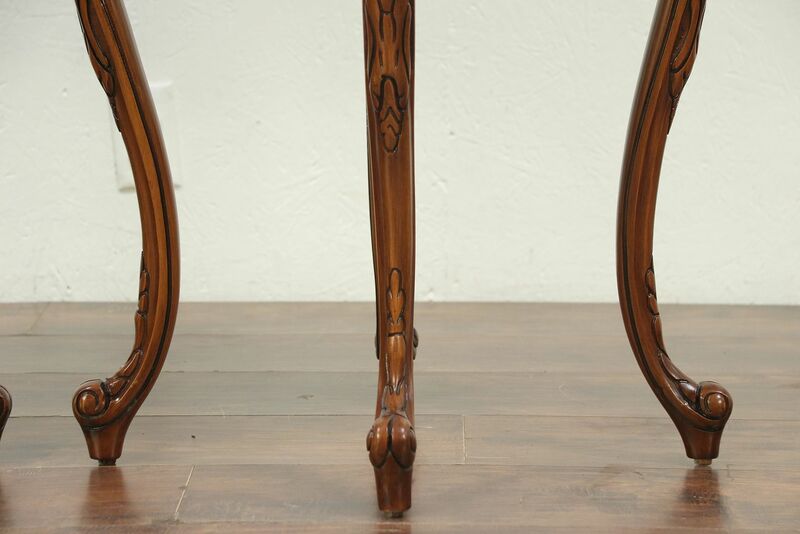 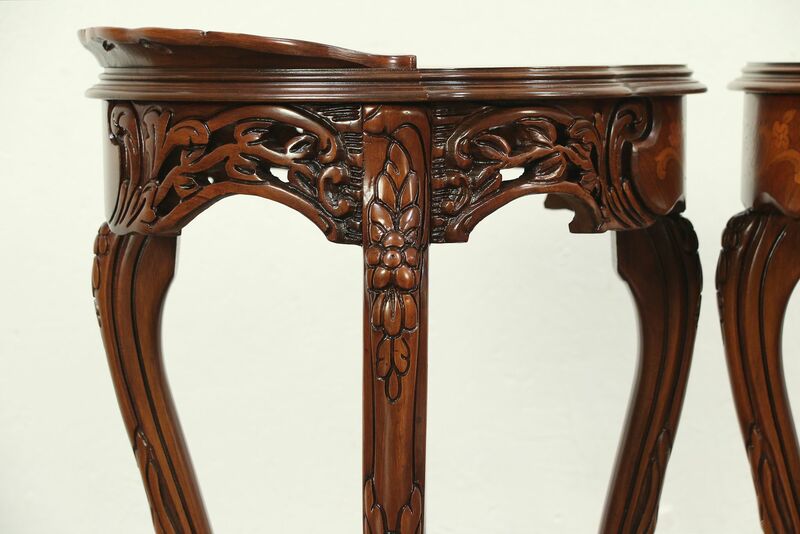 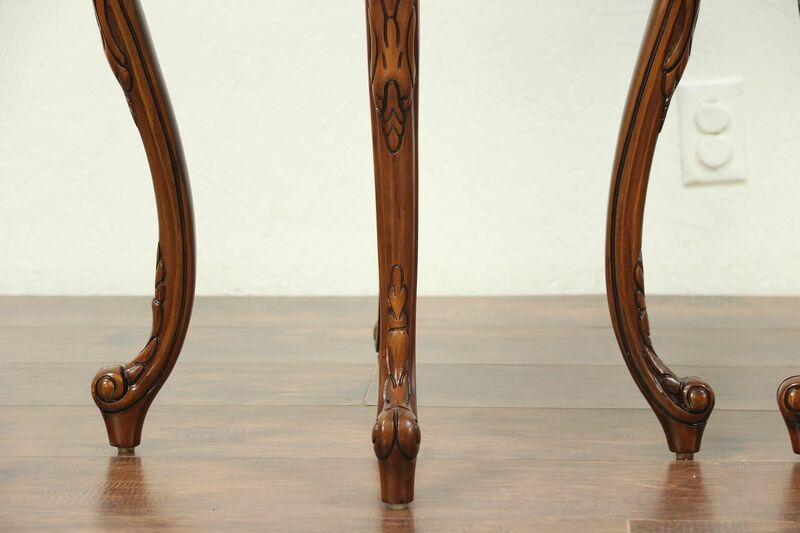 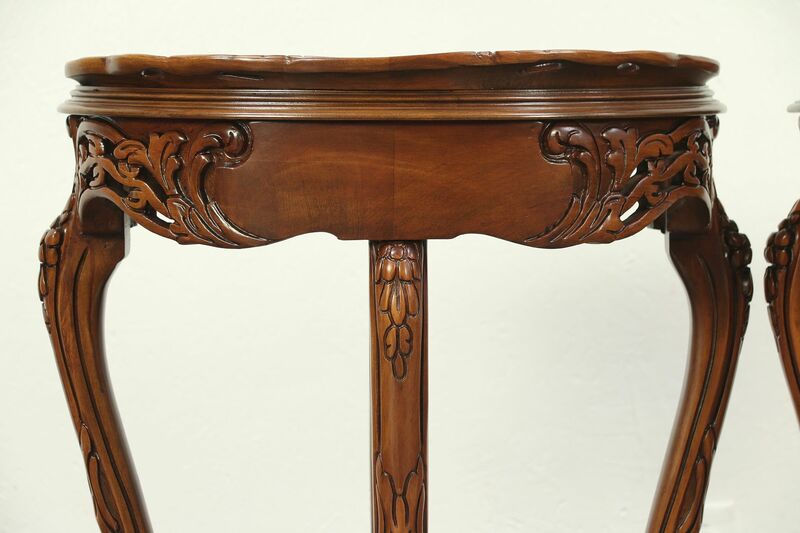 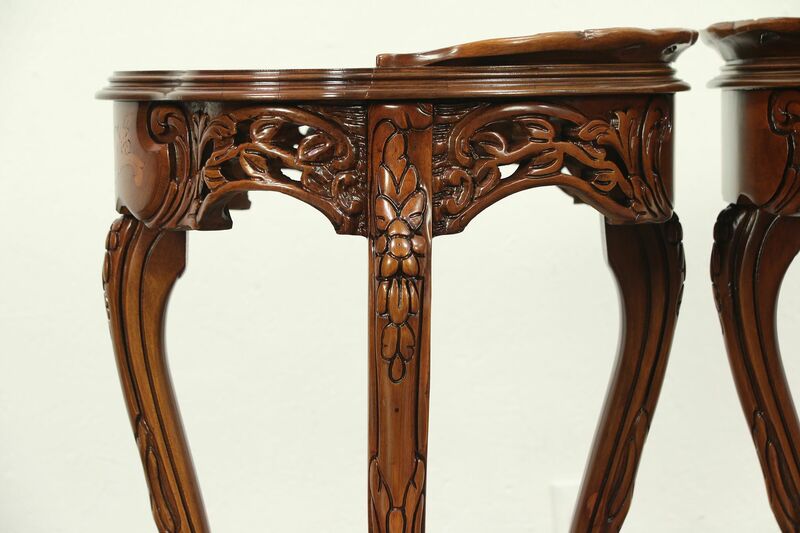 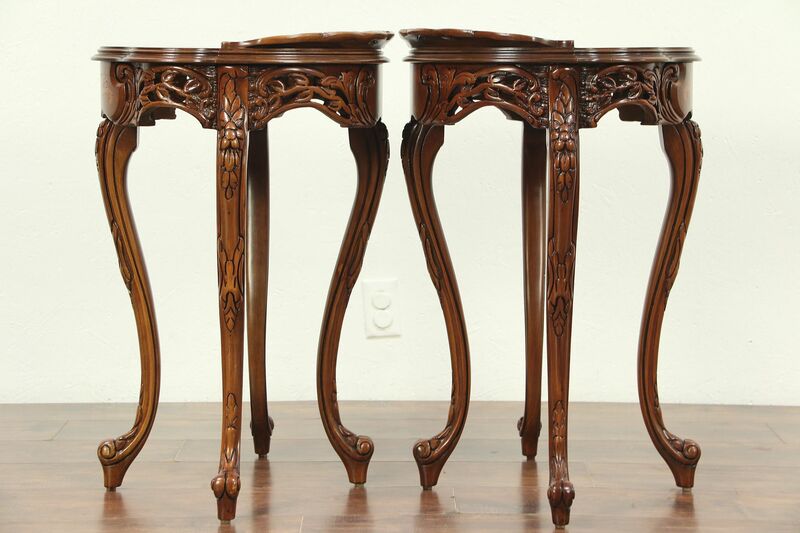 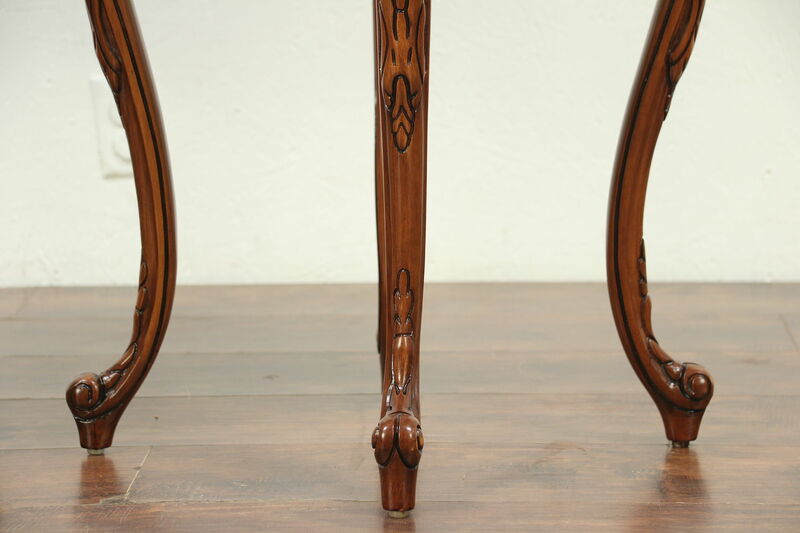 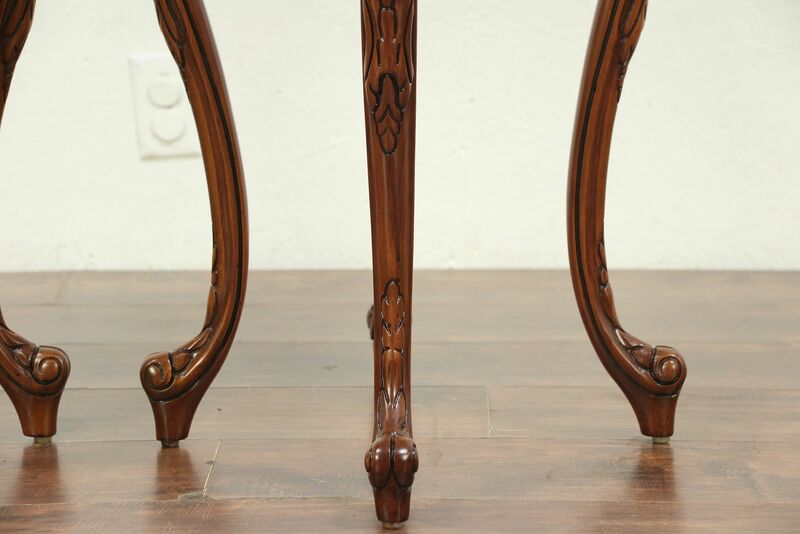 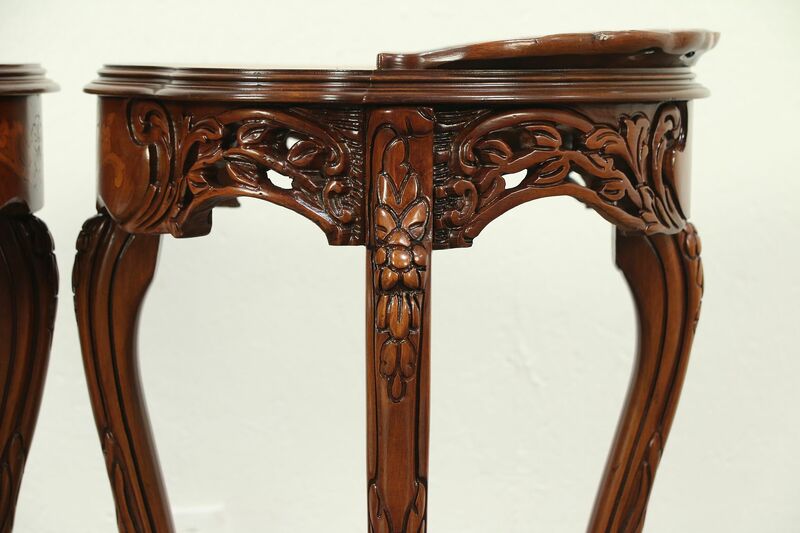 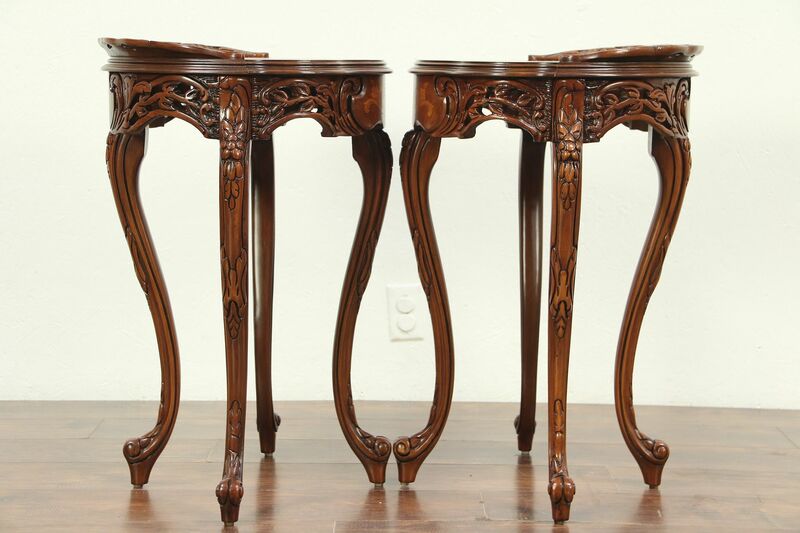 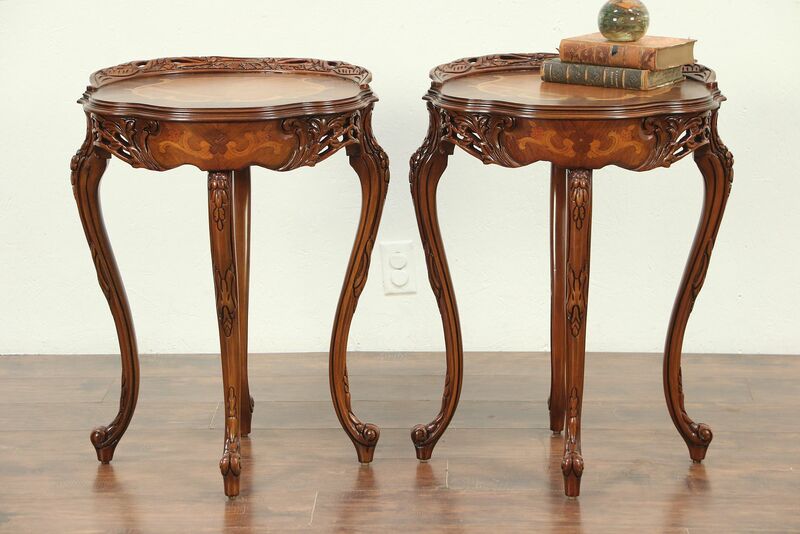 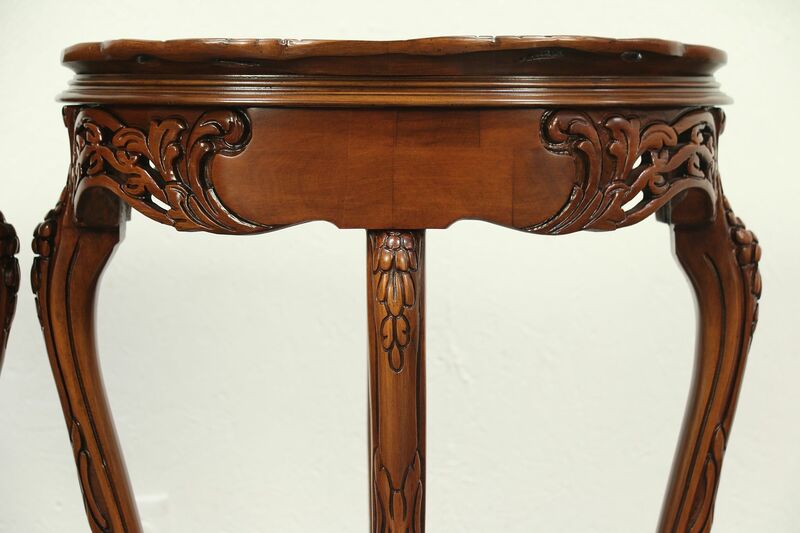 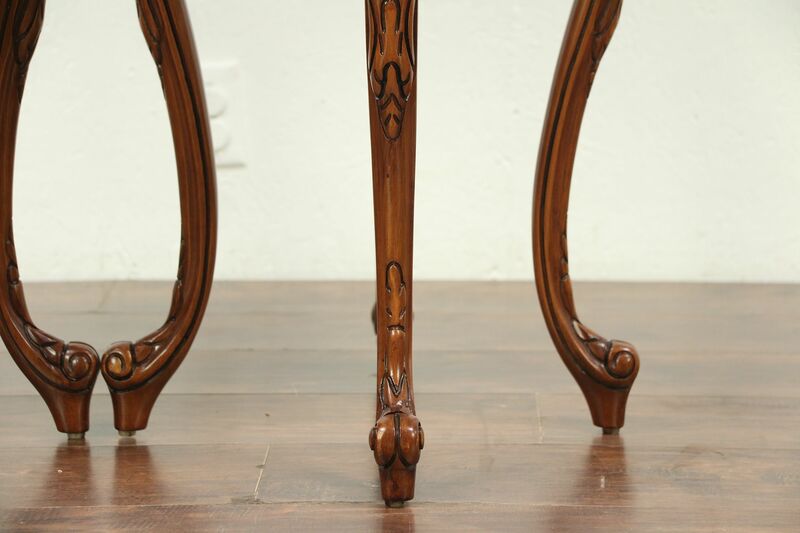 A pair of nightstands or end tables was richly carved and pierced in the French manner about 70 years ago. 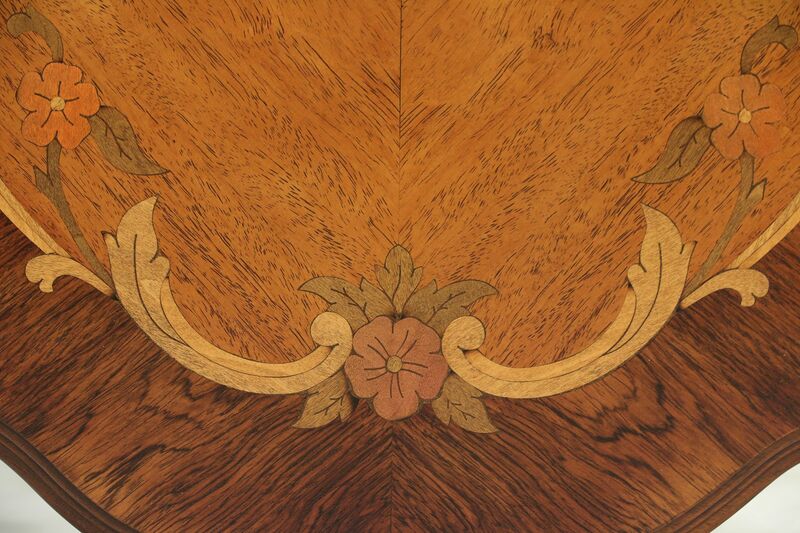 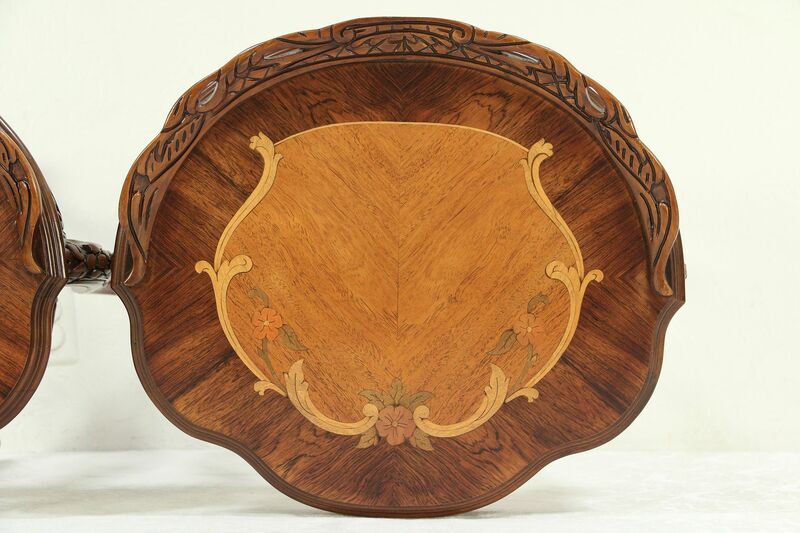 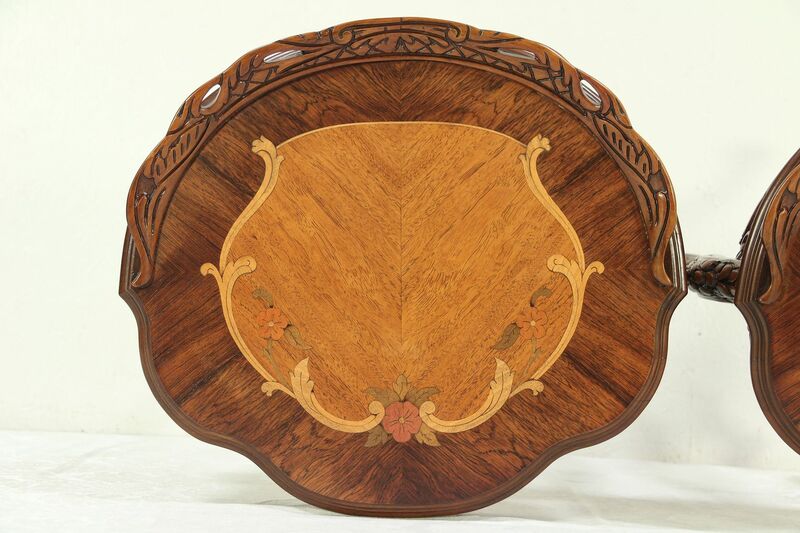 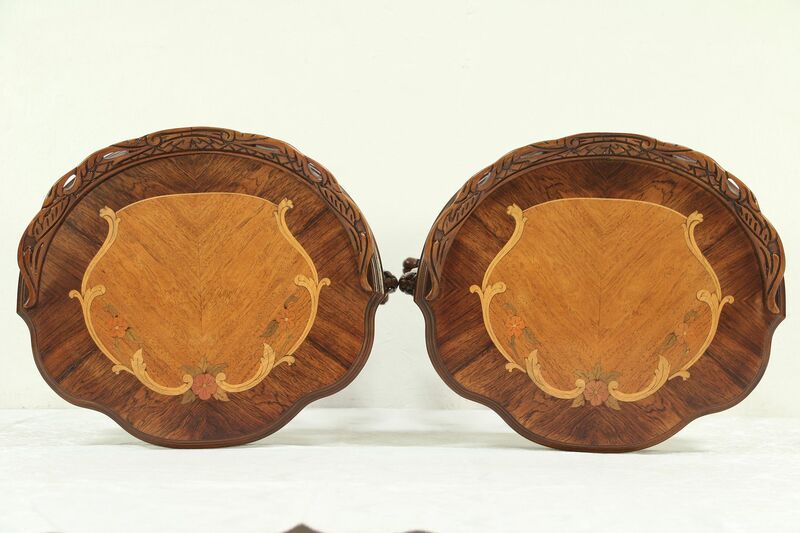 There is inlaid marquetry of rosewood, mahogany and burl. 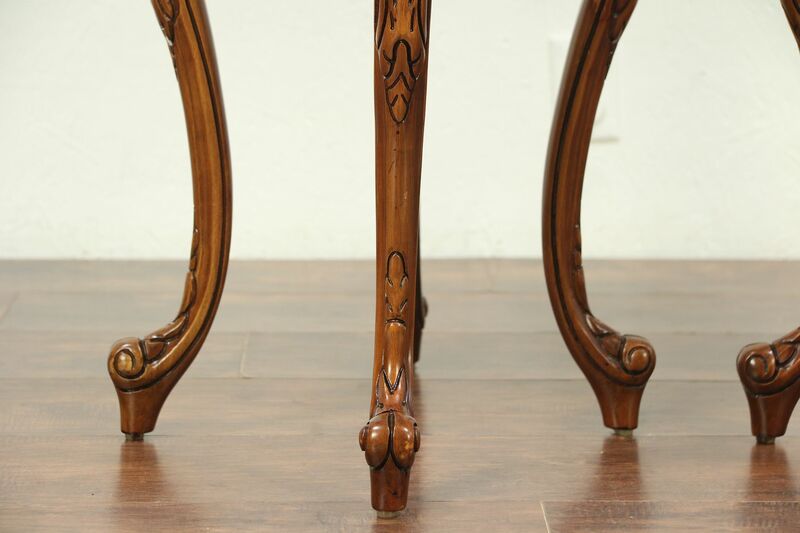 The restored finish is in excellent condition and frames are reglued to serve another generation. 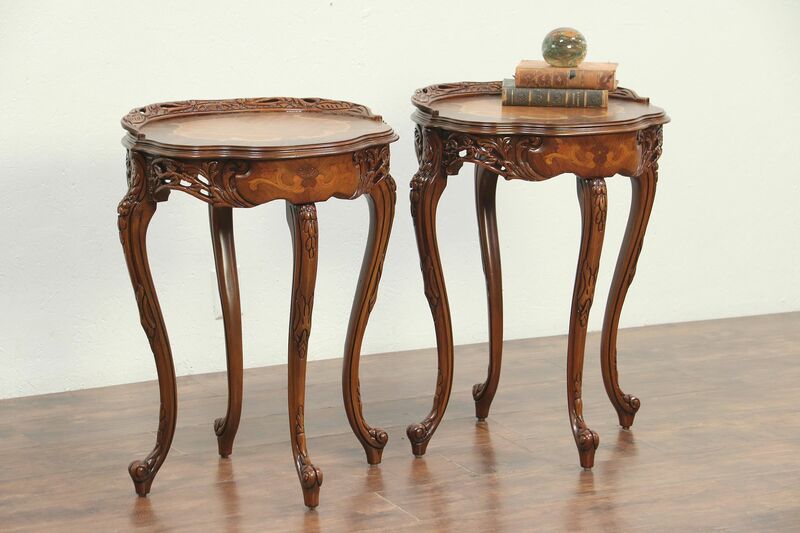 American made vintage furniture, there is a curved gallery at the back. 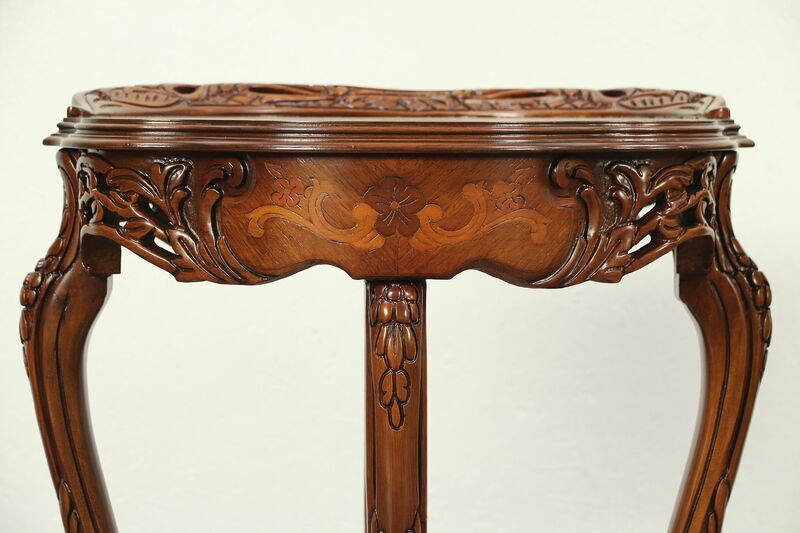 Measurements are 22" wide, 18" deep and 28 1/2" tall.